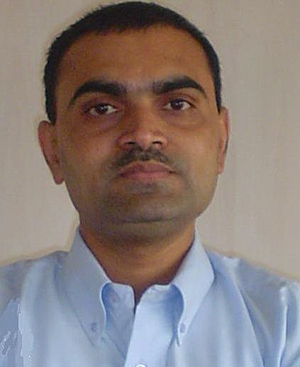 Nitin Pagrut (36) has been appointed Executive Director of Concentric Pumps (India) Pvt. Ltd, the Pune-based manufacturer of pumps for diesel engines. A mechanical engineer, with an MBA in Finance & Marketing, Nitin Pagrut studied at St. Xavier's Labour Relations Institute in Jamshedpur- one of India's leading management colleges. He joins Concentric from Cummins, where he was Senior General Manager, and has spent his whole career in the automotive engineering sector, having previously worked for Tata Motors Limited and Tata Cummins. In over 15 years, Nitin Pagrut's experience has spanned manufacturing operations, project management, business development and general management. He is an established green belt in Six Sigma DMAIC process improvement methodology and has experience in TPM and supply base management. Commenting on his appointment, Nitin Pagrut said: "I knew Concentric well even before joining the company and I believe that its success is a fine example of India's ability to compete in manufacturing and engineering services. My focus is now on achieving world-class status by deploying a programme of Six Sigma activities, which will evolve into a lean manufacturing environment. This will support the company's strategy for worldwide sales growth, low-cost high-quality manufacturing and supporting our customers locally wherever they manufacture." Concentric India has been manufacturing in Pune since 1999 and in 2004 it opened a new plant there with a total area of 60,000 sq.ft. plus an additional 40,000 sq.ft earmarked for future expansion. Concentric plc is a major supplier to the world's, truck, agricultural and construction equipment industries with manufacturing facilities in the UK, USA, China and India. In addition to oil, fuel transfer and water pumps for diesel engines, the group also manufactures lubrication pumps for transmissions and compressors.